For many small businesses that are not retail/restaurant based one of the challenges they have always faced is how to collect payments on their invoices in a timely and efficient manner. 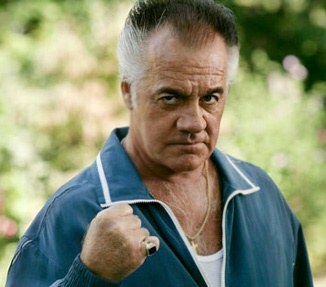 Let’s face it, nobody wants to put on their Paulie Gualtieri face when it comes to their customers and collections can be a costly and inefficient process. You could always collect payments in cash but that is an ‘in-person’ process. And accounting for cash is a little bit like trying to count the number of Pyramid Pizza transactions on my credit card… a little bit daunting at the best of times. Many small businesses cannot create the volume to justify the purchase or rental of a merchant terminal given there relatively high cost. Traditionally, this has left small businesses with cheques (gross) as a means of collecting payments. Not only are cheques a major cost to make payments with, there can be significant costs involve with accepting them… think about it, you are paying someone to make those deposit slips, travel to the bank etc… oh and the opportunity cost of other value adding activities that employee could be focused on. Today, merchant services are available to any small business regardless of their size. For many merchant services there are no monthly fees, only transnational fees; that means if there are no transactions there is no cost. Yes, you have to pay a percentage to the merchant service but what is the cost of not getting paid on time? Take the merchant service fee into account with your pricing model. These merchant services can be setup so when you send an invoice all the customer has to do is click a button, enter in their credit card information and the invoice is paid with the funds being deposited into your account within a couple days. EFT services used to be out of the question for small businesses. One reason was the large monthly ‘cash management’ fee that the banks charge for access to their EFT system. The other reason was that traditionally these EFT systems required a lot of manual work and reconciling. Today, we can setup EFTs where the customer simply has to login to their online banking portal to initiate a transfer from their account into yours. And I know what you are thinking… I just use e-transfers… but e-transfers are more expensive than EFTs and there are transactional, daily, weekly and monthly limits with e-transfers. Oh, and yes you can setup PAD agreements with both merchant services and EFTs. This is great for recurring/subscription type transactions. You can even set it up so let’s say you send an invoice with 60 day payment terms… when that 60 days is up the funds are automatically withdrawn from the customers account and deposited into your bank account. You have to understand that for nerds like me this is cool stuff. If your customers refuse the above methods and still want to pay with cheques, that is fine, but save yourself a trip to the bank and use the mobile cheque deposit feature. If volume is a consideration, there are cheque scanners you can purchase that you can connect directly to your bank account. Yes, you would have to purchase the scanner, but trust me, with the time savings gained on labour it is worth it. If you are having trouble with collections call Mama Con and let her straighten them out. Accepting payments from customers/your customers paying should be as easy as possible. The more barriers you remove the easier it is to get paid. The easier it is to get paid the more likely it is you are paid on time. The more likely you get paid on time the more likely you take on one of my Pyramid Pizza charges.